Taking part in sports is one of the best things you can do for your health. These activities can improve your cardiovascular condition and also has positive psychological benefits such as being part of a team and improving self-confidence. Exercise and sports can be an important part of a health regimen and it’s very often incorporated in our treatment at Total Chiropractic Care and Wellness. But there is a downside to all of this. Sports can result in injuries and sometimes these injuries cause chronic pain. But if this happens to you, Total Chiropractic can still help. We’re experts at treating sports injuries. Total Chiropractic Care and Wellness, your Medford chiropractor treats all kinds of injuries, from chronic back and neck pain that comes as the result of a sports injury to treating patients in the aftermath of a car accident. If you’re dealing with pain, come in and talk to us and we’ll design a plan to get you on the road to good health. Our doctor, Todd Goldman suffered a back injury while participating in sports, so he knows how important it is to get you back in action. So, let us tell you how chiropractic can help those suffering from sports injuries. Writing in the American Chiropractic Association (ACA) publication ACA Today, Kray Kibler and Dr. Stephen Baron wrote that experts estimate that 90 percent of all world-class athletes use chiropractic care to prevent injuries and enhance performance. All 32 NFL teams have a chiropractor of their own and 77 percent of trainers refer patients to a practitioner of chiropractic medicine. The authors cite a Canadian study that found that the inclusion of chiropractic care in the rehabilitation program of 16 female long-distance runners boosted their performance levels. After receiving the chiropractic treatment, seven of the runners scored personal bests. Chiropractors do more than just adjust backs. At Total Chiropractic Care, we will also design exercise and diet programs for athletes. One group of athletes that deserves special attention are kids. Dr. Timothy Ray, a member of the ACA, writes in ACA Today that preparation is key for young athletes taking part in sports. “Without proper preparation, playing any sport can turn into a bad experience. There are structural and physical developmental issues that need to be taken into consideration before children undertake certain sports,” he said. Ray particularly cautions those who take part in sports like football, gymnastics and wrestling which have rigorous training schedules. He says they need to make certain they train properly. 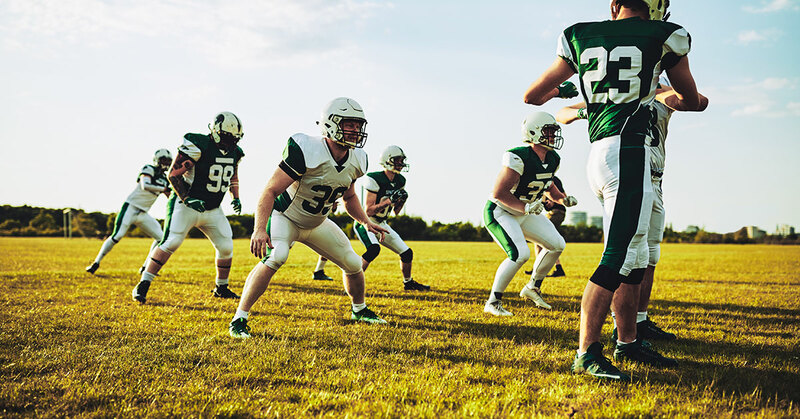 If you’ve been injured while taking part in sports, or if you have a chronic sports injury you don’t have to have the pain take you off the field longer than needed. Total Chiropractic Care and Wellness can treat your sports injury and come up with a plan that will help you on the road to wellness. Contact us today.